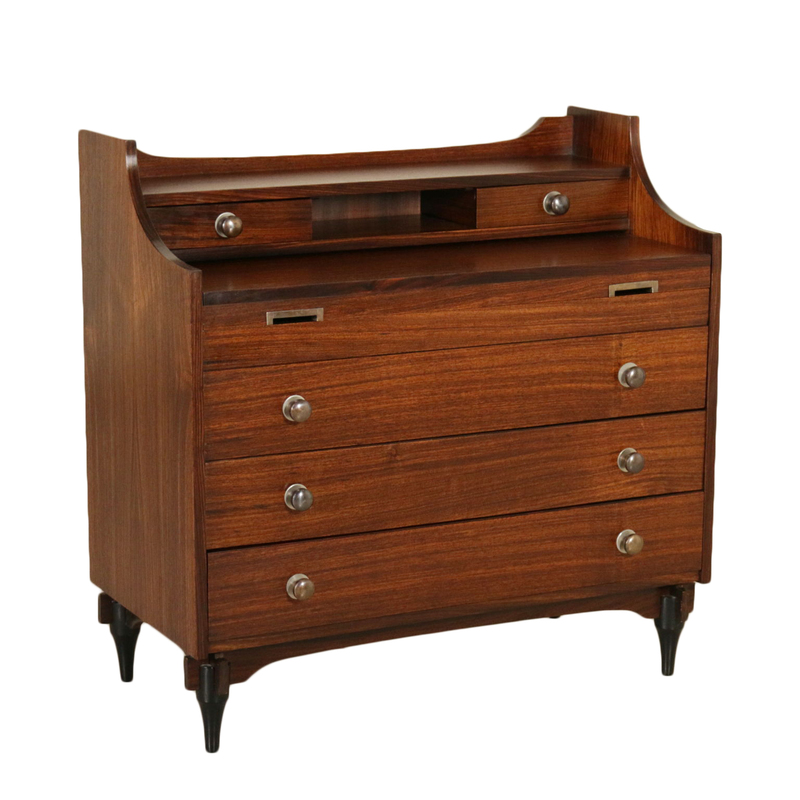 A chest of drawers convertible in a dressing table with extractable top and a drop-leaf. Designed by Claudio Salocchi for Sormani, model: SC 284. Rosewood veneer, manufactured in Italy, 1960s.